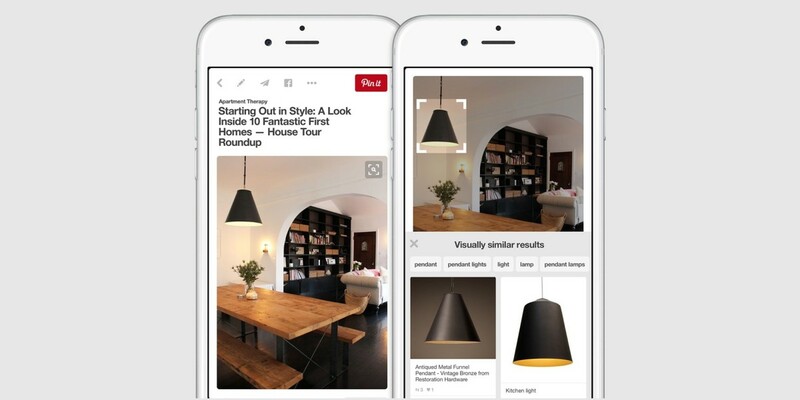 Pinterest is updating its mobile and Web apps today with an interesting new way to visually search for content. If you spot something in a pinned image, like a certain piece of furniture or a cool clothing accessory, you can simply tap the new search icon in the top right corner to select the item and look up visually similar results. You’ll also be able to filter these results by tapping on tags that match what you’re looking for. Last month, the company began including localized search results as well as international autocomplete functions to better serve users across the globe. It should also help users find more products to purchase, now that it’s launched its own shopping section and has brought a ‘buy’ button to pins on Android and iOS. The new visual search feature is rolling out today and should become available on Web and mobile platforms soon.